July is a moderately active month, highlighted by planetary patterns that bring increased opportunities and spiritual enhancement. This month features ongoing water Grand Trines that envelop us with gentle, supportive energies. At the end, there is a rare Grand Sextile pattern that brings opportunities for physical manifestation. In addition, the stations of Uranus, Saturn and Mercury call for a gradual shift of focus to help us move forward. We begin the month with the last week of June’s new moon in Gemini and Mercury retrograde cycle (which began on June 26) By now you may have noticed more difficulties and delays with all forms of communication. Mercury in Cancer can bring more empathy for oneself and others as we review and revise our own personal needs, especially with home, family and security concerns. It is important to watch out for co-dependent situations. The first week of July could be rather stressful, as Venus makes a difficult square to Saturn on July 1 and the Sun makes challenging aspects to both Pluto and Uranus on July 2-3. Major disagreements could arise in relationships and personal resources can face new restrictions. 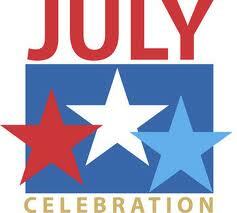 However, the July 4 US holiday looks favorable with sociable Moon/Venus evening aspects. The Saturn direct station on July 7 brings more awareness on where we can heal and release the past, and take more responsibility in creating favorable outcomes. The New Moon occurs on July 8 at 16 Cancer 18. It aligns with Mercury and makes challenging aspects to both Uranus and Pluto. The focus will be on home, family and foundations of personal security. It may be timely to review and revise how we can best communicate our feelings, especially in areas of vulnerability. We can also examine the balance of dependence vs. independence in our relationships and what changes need to be made. With the Mercury emphasis, writing one’s insights in a journal would be very effective. The Sabian symbol for this degree, “The unfoldment of multilevel potentialities issuing from an original germ; the life urge to actualize one’s birth potential,” suggests becoming more aware of the unique gifts and talents we have to offer the world. July 17-20 will be a peak time in the month. Uranus in Aries turns retrograde, which may bring more restlessness and feelings of independence and rebellion. At this same time, the first powerful Grand Water Trine occurs between Jupiter in Cancer, Neptune in Pisces and Saturn in Scorpio. This brings out our intuitive, compassionate and creative side that inspires us to greater self-expression or higher service. The ongoing Saturn/Neptune trine, exact on July 19, will help us manifest our highest dreams. However, the shadow side can bring inertia and escapism. Mercury turns direct on July 20, which is a main signal to begin moving forward with long-term decisions and goals. On this same date, Mars in Cancer joins Jupiter and the water Grand Trine, to further activate our higher intuitive urges. On July 22, the Full Moon occurs at 0 Aquarius 06. It is in a challenging square to Saturn in Scorpio, which helps us to bring our inner visions into greater alignment with outer reality. We can also balance our needs for freedom and independence with those of maintaining stability. The Sabian symbol keynotes for these degree areas, “An irruption of bio-psychic energies into the ego-controlled field of consciousness,” and “The power inherent in all great human works to endure far beyond the workers’ life spans,” can inspire us to further define our life purpose and legacy. Mars will oppose Pluto on July 27 and then square Uranus on July 31, forming a volatile t-square pattern. This brings dynamic situations that lead to either breakdowns or breakthroughs. On July 29, the rare Seal of Solomon Grand Sextile pattern appears. This pattern is composed of water and earth trines for greater emotional attunement, creativity and productivity. In August, Venus enters Libra — time to rebalance relationships and finances! Dorene Carrel is a professional astrologer with over thirty years of experience, offering birth chart, transits/progressions and relocation astrology readings. She is certified in Astrocartography. For more information, contact Dorene at dorenea5@yahoo.com. Paypal accepted. All references to Sabian symbols are from An Astrological Mandala: The Cycle of Transformation and Its 360 Symbolic Phases, by Dane Rudhyar. Check out my astrology blog at www.astroconnections.blogspot.com for ongoing astrological observations on current events, people, trends, etc. PreviousCommander Chris Hadfield’s Rendition of David Bowie’s Space Oddity – Very Cool!